So you want to own a business. The freedom, autonomy, and rewards are attractive. So where do you start? You can start a side hustle, buy a franchise, or buy an existing business. With so many options available to you how do you know which to choose and what are the pros and cons? As a broker, I have seen each of these options play out both positively and negatively. The side hustle allows you to hedge risk and make some money “on the side” but the time it takes to scale to actual “business” status is long. Franchises bring proven processes, resources, and often brand power. It requires more capital and you need to be comfortable with the restrictions and ongoing costs associated with being in “partnership” with a master franchisor. Finally, the one I think represents the best opportunity on many levels is the purchase of an existing business. I really believe your probability of success in business ownership is infinitely greater when you purchase an existing profitable business. While the idea of a franchise appeals to many people, don’t buy a new location; buy a resale that’s already successful. This way, you marry the best of franchises and existing businesses. With an existing business, you will have the ability to review real historical data that will allow you to thoroughly investigate past performance, the financials, the market, the customers, the industry, the employees, the competition, operations, current status, future potential and (with the internet ) actual reviews of customers. No matter what a company’s past performance is, an existing business or franchise resale will, at the very least, have history from which you will be able to make decisions. Even if the company was not very profitable in the past, your strengths may lend themselves perfectly to turning it into a viable venture. In addition, you have the ability to verify what the company did in the past that resulted in the current status of the operation. Often not factored is the avoidance of one-time start-up costs and fees that resale customers get to avoid like cost overruns of build out and impact fees from cities. These alone can run into the tens of thousands of dollars. When you buy an existing business you will have the benefit of a built-in infrastructure. You will inherit active customers, suppliers, employees, equipment, and processes. This will allow you to focus on building the business as opposed to a start-up or new franchise where you’re starting with nothing. Unlike in a franchise or side gig…..Sales start and occur on day one. 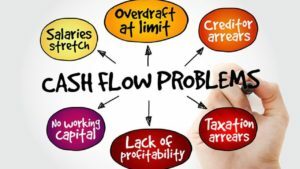 This variable alone is singularly why I favor and advise on buying a business that exists….cash flow is king. Having customers buying and trading on day one is the most important factor when we look at successful operations and failing operations. For many people owning a business is a dream. It is not for everyone…it requires you daily focus and a passion many do not possess. There are risks, but for those who educate themselves and learn to apply learnings success and wealth is available. For more on this and other topics we would like to invite you to visit our website or our youtube channel here.